Caney Creek Marina is located on beautiful Watts Bar Lake in Harriman, TN just 3.3 miles from Interstate I-40 off Exit 350. We offer everything you need to have a wonderful time with your family. Whether you’d like to rent a slip for your boat, rent one of our boats or just go fishing, we offer you the best services at the lowest prices! With over 200 slips, both covered and not covered, we have the perfect spot for you and your boat! Known for our friendly service, quality rental boats and nice accommodations, we invite you to come take advantage of our full-service marina, where your comfort is our goal. The Marina Store is fully stocked to offer everything you need for an enjoyable lake retreat. We offer a store full of boating supplies, accessories, snacks, ice, beverages, and water toys. We cordially invite you to Caney Creek Marina and look forward to seeing you on our docks soon! No other marina on Watts Bar Lake is so perfectly situated. A day trip to Dollywood is just over an hour away. You can be in Knoxville in 30 minutes, and shopping is just a few minutes away in the three cities of Rockwood, Harriman and Kingston. We’re located on Highway 70, halfway between Kingston and Rockwood and less than 4 miles from Exit 350 off Interstate 40. If you’re coming by boat, look for Tennessee River mile marker 562.5. 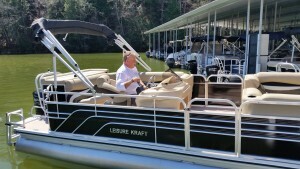 All docks at Caney Creek Marina have pumpout capability with our new user friendly, mobile, wireless stations. 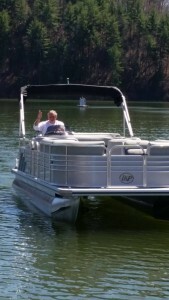 Pumpout services available at no cost to boaters! 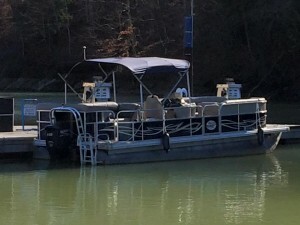 Ramp access is available at the local boat ramp sponsored by the TWRA (Tennessee Wildlife Resource Agency). Head East past the RV Resort and Marina and turn right just past the Roane County Park. This is Caney Creek Rd. Proceed to the fork and turn right over the bridge (Caney Fork Rd.). Boat ramp is on the right. There’s a nice, steep ramp providing year-round access and another shallower ramp for easy Summer access. The Resort and Marina is straight across the water from the ramp. The ramp is easily visible from the dock. Ramp use is FREE! Located off of River marker 562.5 Watts Bar Lake. Off channel, 2 miles up Caney Creek (see nav charts). Call for channel conditions/depths 22’ max clearance under bridge. We Monitor Channel 16. Interstate 40 Exit 350 . Then West 4 miles on On US 70. All boats must meet the minimum liability insurance requirement of $300,000 and list the Marina as additionally insured.